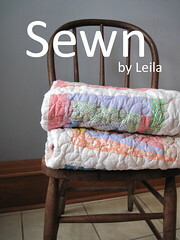 This week I'm really wondering when people do most of their sewing if they work. Do you mainly quilt on the weekends? Do you make sure to do a bit each night? Anyone successfully integrating work, quilting, kids, cooking, etc...and still managing to exercise? I've been trying to get a bit done each night, but then that turns from "a bit" into "a lot," and I'm up too late still sewing. Anyway, the mental health break each night is wonderful...it serves me much better than watching TV. I used the wonky block tutorial links from Sewn by Leila. That took me to Quilt Dad and I'm doing his basic wonky log cabin and a large bento block for the center. I've also spent time quilting the bunny quilt. 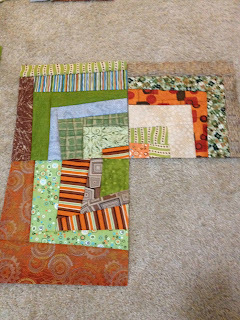 And working on lava flow for this week's Free Motion Quilt Along. I'd consider the hexie quilt hibernating :( along with any other quilts I was thinking of starting for myself. But there's more time to come, and I know I'll be wanting to sew myself through stress and difficult times or just because I'm relaxing after a good day. Hope everyone has a good day today! 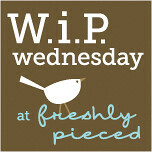 I'm linking up with WIP Wednesday--check out Lee's blog at Freshly Pieced--and QED at Color Me Quilty by Pat. Love your wonky log cabin! and you're doing fabulous on your fmqing. The bunny quilt is so cute! It's an interesting question to ask. 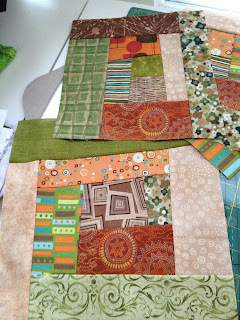 Even though I basically quilt for a living, for the last 2 years I struggled to find time to get on the machine consistently. The computer was always sucking all my time away. Since starting the UFO Sunday program, I've changed my habits. 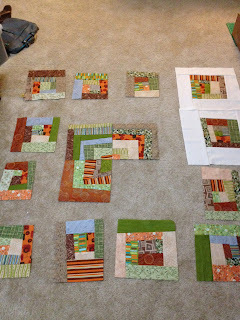 Check out the Question Thursday posts for more details, but to put it simply - I wake up earlier just to have more quiet time to quilt and create. 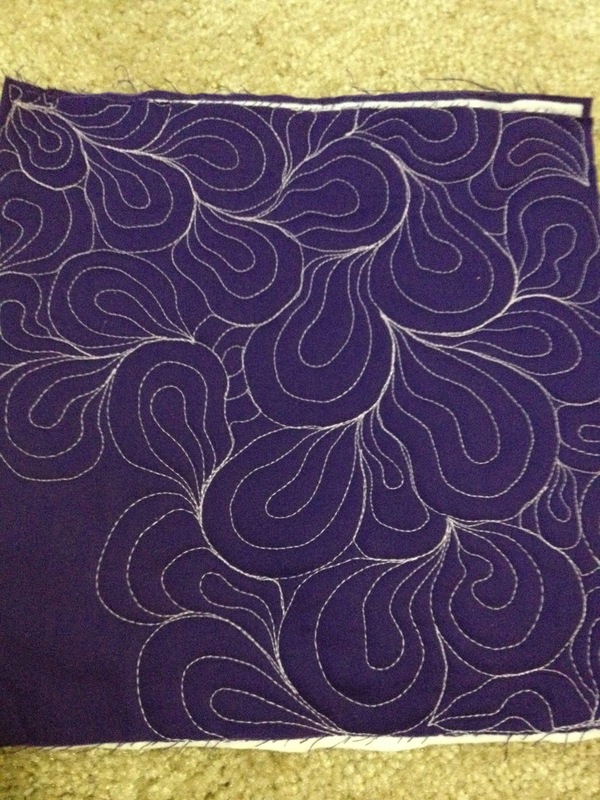 Your lava paisley looks fabulous - I love the contrast against the purple. 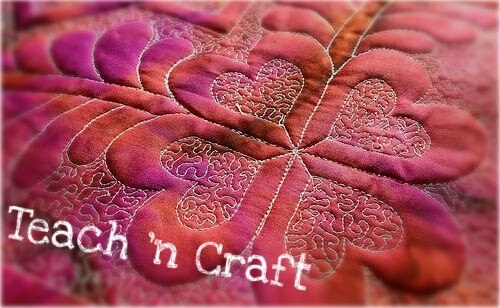 I work full time and usually have a couple hours of time in my sewing room a few evenings a week. You're right--it's much better than television. I have a few shows I watch with my DH, but I have cut back in order to have more far-more-rewarding creative time. 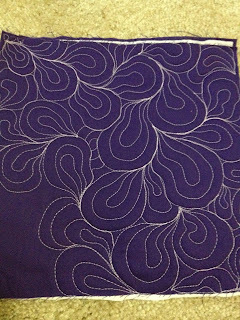 The last two weeks have been crazy busy at work, but I managed to find two weekday nights to spend in my sewing room, and I finished FMQing a quilt. That was great for my sanity! I also usually have larger blocks of time on Saturday and/or Sunday. A dear friend told me long ago to have hobbies outside of my marriage. 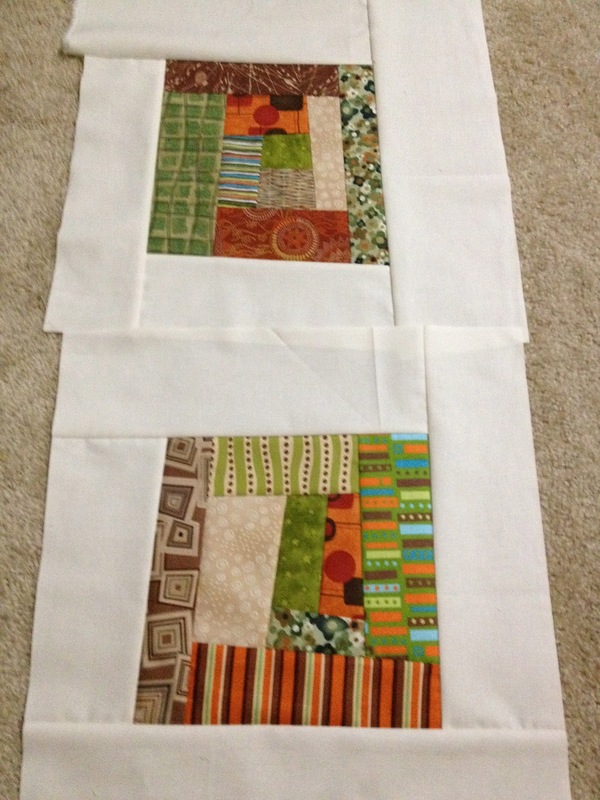 DH and I each have some things that take up an evening or two a week--mine is quilting! Before I forget, I think your lava paisley looks great. Every time I visit your blog, I am just in awe of your work. Thanks so much for linking up to QED for September!